I talk a lot about fashion and fashion photography on my blog, but of course there are many other photographers out there, focusing on many different types of photography. In fact, I myself actually studied photojournalism for a semester in school and found it quite interesting. Photojournalists cover many news events and are often sent all over the world, sometimes put in incredibly difficult situations, covering war and conflict and hardships in unpleasant conditions. Some of you may have read about UK photojournalist Tim Hetherington, who was killed this week in Libya while covering the Libyan civil war. I thought it was important to recognize the hard work that these photographers do everyday. It’s now been reported that Chris Hondros, an American photojournalist who suffered an injury while also in Libya, has also died. It can’t be easy for any photojournalist to be put in a situation that is potentially life-threatening, and yet they manage to do so and capture some incredible images. You can view Tim Hetherington’s work here, and Chris Honros’ work here. 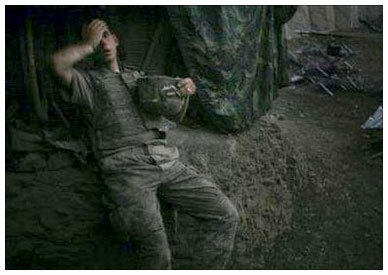 This entry was posted in photography and tagged Chris Hondros, Libya, Photojournalism, Tim Hetherington. Bookmark the permalink.